As this term's topic is based around The Lion, The Witch and The Wardrobe, during art lessons the pupils have been split into teams and each team will be creating their own puppets of characters from Narnia. They are also creating their own Narnia sets and over the next few weeks once the art project is completed, each team will be performing a scene from the story using their own creations. 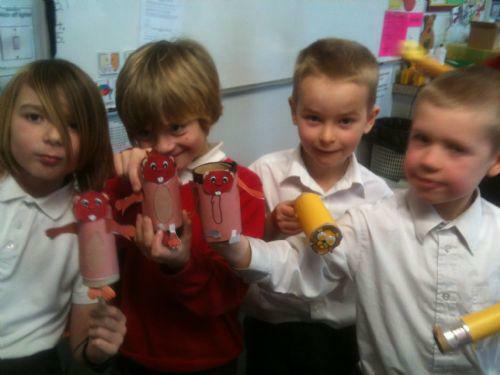 Everyone made a fantastic start this week.... look out for more pictures of the finished puppets and sets!